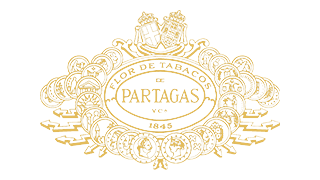 Partagas Cigars, an iconic Cuban brand of cigars, is produced by General Cigar Company in the Dominican Republic under license from the patron of the original Patragas family. The cigars are handmade by experts with a mix of high-quality tobacco from Mexico and the Dominican Republic for fillers. Specially procured tobacco from Mexico is used for the binders while Cameroon tobacco leaves make up the wrappers. The well-crafted cigars provide medium-bodied strength but deliver full flavor with subtle tastes of wood and coffee emerging with each drag. The defining feature in the cigars is the Cameroon wrappers. The wrappers are grown in Cameroon under subtropical African climate that is hot and foggy. The climate is ideal for growing full-flavored leaves that cannot be grown elsewhere in the world. The unique wrappers clearly give the brand its identity endowing the smoke with lots of spiciness, and very surprisingly a tinge of Cuban flair. Partagas cigars deliver a balanced draw that not only attracts experienced smokers but also entices beginners. Partagas cigars come in several variants and are offered in different shapes and sizes ranging from the Number 10 being the longest with a length of 7 ½ inches and a ring gauge of 49 to the Miniatures measuring 3 ¾ inches in length and 24 in ring gauge. The thickest cigars are the Gigante, which have a ring gauge of 60 and a length of 6 inches. Partagas brand, established in 1845, was the brainchild of Jamie Partagas. The pedigree of the cigars, renowned for their model construction and signature taste, is such that they make an ideal gift for any occasion. FAVORED BY MANY CIGAR AFICIONADOS, ENJOY THESE HANDMADE BEAUTIES BY GRABBING A BOX TODAY!